The Dalle Mese family has proudly represented creativity and cutting-edge innovation in Italian industrial tanning for more than 50 years. In 2006 it was the vision of Nadia and Gianfranco Dalle Mese that resulted in the founding of Studioart, a fashion-forward manufacturer of high-quality upholstery leathers and textured leather wall coverings. While pioneering in spirit, Studioart remains true to its long-standing heritage in leather making, and it is its commitment to traditional craftsmanship combined with ongoing technological innovation that has been the key to its success. Studioart leathers can now be found in luxury residences, superyachts and private aircraft across the globe. From the company’s vast range of leathers, each offers a different technical and aesthetic quality. Full-grain cowhides such as the Polis collection have been finished to create an ultra-smooth texture; exceptionally supple, the aniline-dyed leather undergoes a special ironing process that results in a silky finish, characterised by a slight two-tone effect that enhances the leather’s transparency. Then there is the sophisticated Lumiere line with its bold colour variations, ranging from the softest pink to burnt orange to teal, each with delicate pull-up effects, natural to the pure aniline leather, and a subtle sheen that makes the hues even more striking. Other collections include laser-cut brocade designs, embossed or embroidered effects, as well as suede, pearlised and iridescent finishes. Velluto, the latest addition to the range is a refined nubuck leather in a palette of dusty hues; treated to be water-resistant, it retains its suppleness. The options are endless when it comes to finding your preferred style. Despite being exquisitely detailed or buttery soft, many of the leathers are impressively durable, so they are highly suitable for hard-working superyachts. The leading collections in terms of durability include the City collection, crafted from carefully selected full-grain cowhides that have been tanned, aniline-dyed and finished with water-soluble products, and the Waternatural collection, treated with water-resistant products that protect the leather against liquids and dirt. 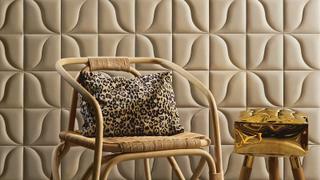 Perhaps the most unique product range at Studioart, however, is the Leatherwall, crafted with a combination of artisanal skills and contemporary flair and demonstrating how versatile leather can be. To create the interior feature, the chosen leather is applied to a solid backing, creating a tile, which is available in different shapes, sizes and finishes. Tiles are arranged into a variety of designs and unique patterns, allowing for myriad creative interpretations. 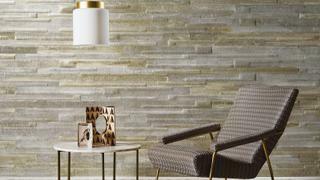 The company recently asked three young designers to reinterpret its signature Leatherwall to demonstrate how versatile the product is. 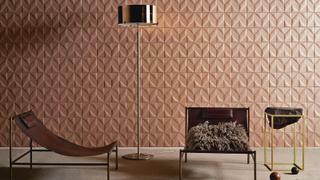 The resulting collections include Woods, designed by Massimo Brancati, which simultaneously uses flat and padded tiles, giving the leather wall a three-dimensional effect, and the beautifully graphic Vector, conceived by Elaine Yan Ling Ng of The Fabrick Lab, which is inspired by the relationship between complex mathematical formulas and nature’s ability to multiply and arrange in intelligent ways. As well as being pioneering in its approach to design, Studioart is also firmly forward thinking when it comes to its environmental impact. The leather production process is carried out with machines that optimise energy consumption and keep leather and material waste to a minimum; larger leather wastes that cannot be avoided are often used to make accessories. The company tannery has also implemented a water recycling system to save 70 per cent of the water used, as well as becoming almost fully autonomous in its electrical consumption thanks to photovoltaic solar systems. Studioart may have a venerable heritage in the Italian leather-making trade, but it is also stepping very boldly into the future.